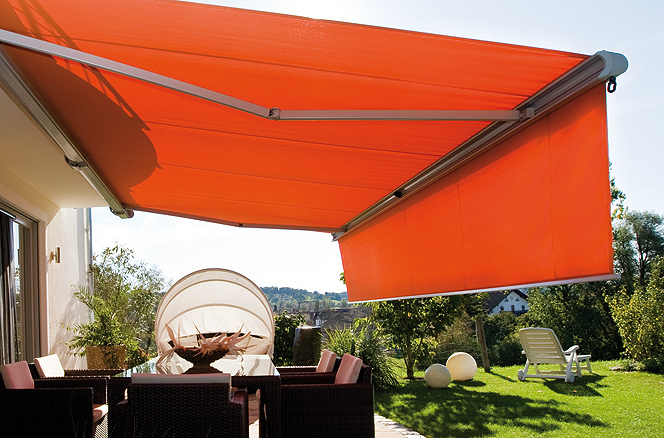 Full Remote Control & Automation options available on our awning models. 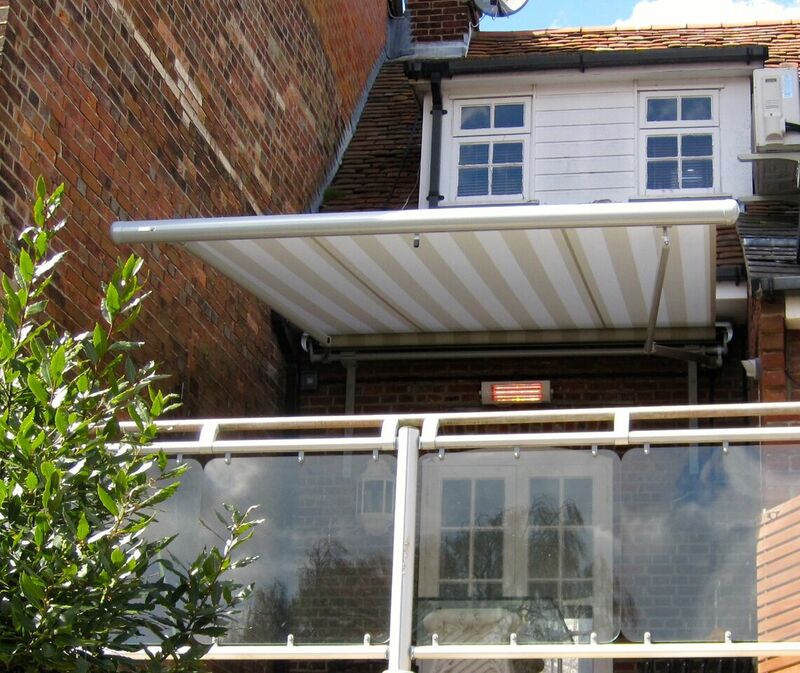 Residential and Commercial Awnings in Hampshire and Isle of Wight installed by Alfresco365. 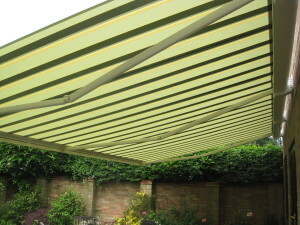 Retractable Patio Awnings supplied and installed by Alfresco365 are bespoke & made to measure. 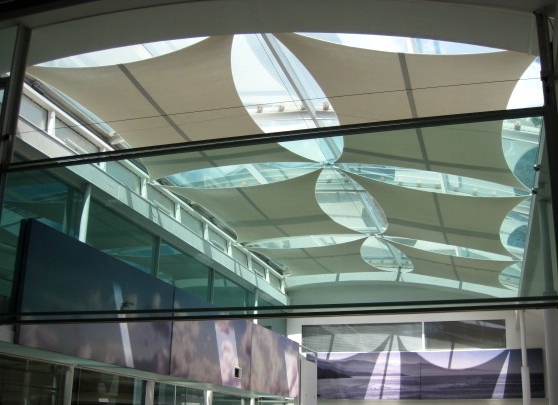 Designed and manufactured by world class European companies include Markilux from Germany and Gibus Mediteranea Canopies from Italy. 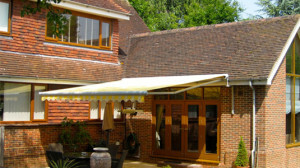 Top quality awnings with a long service life. 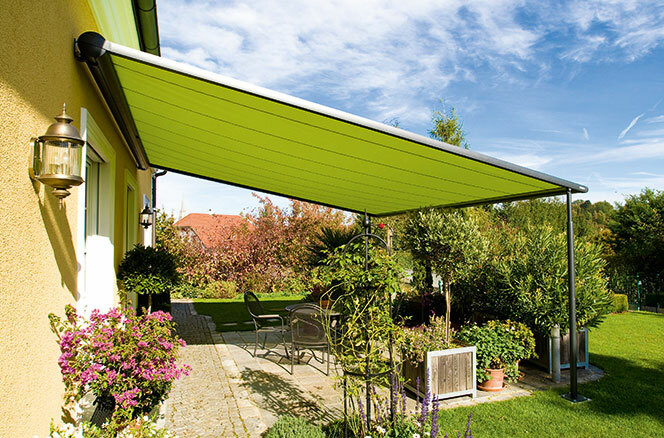 Markilux and Gibus are winners of prestigious IF design awards, each manufacturer has a wide range of retractable patio awnings with modern and traditional designs to suit a multitude of requirements. 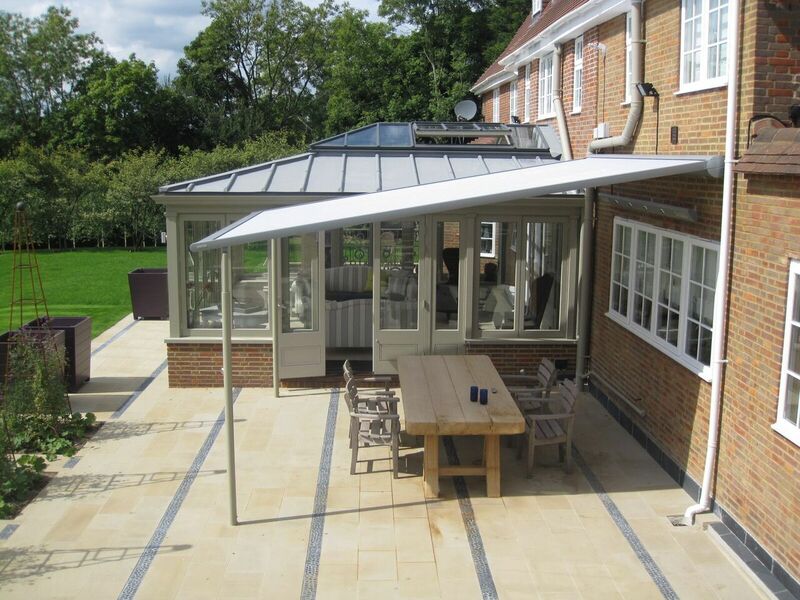 We are fully approved as Authorised Dealers and Installers. 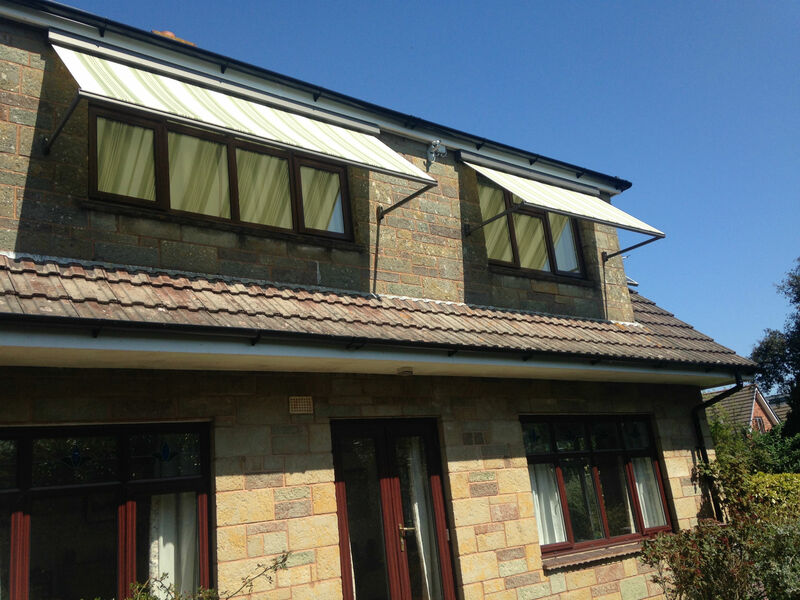 Our installation team has been fully trained by the manufacturers. 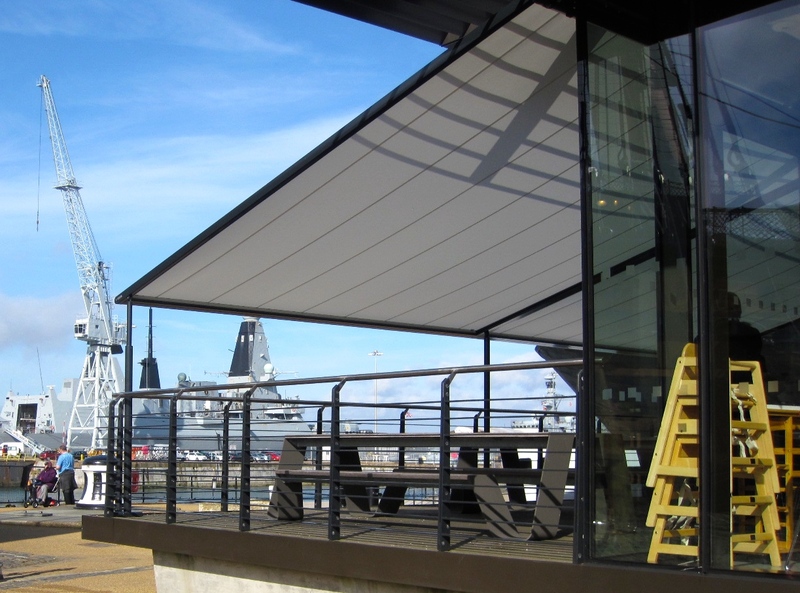 All our retractable patio awnings benefit from comprehensive limited manufacturers guarantee. 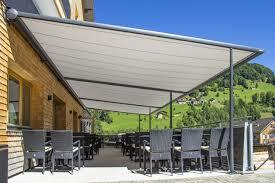 Manual or electric operation patio awnings with optional remote control. 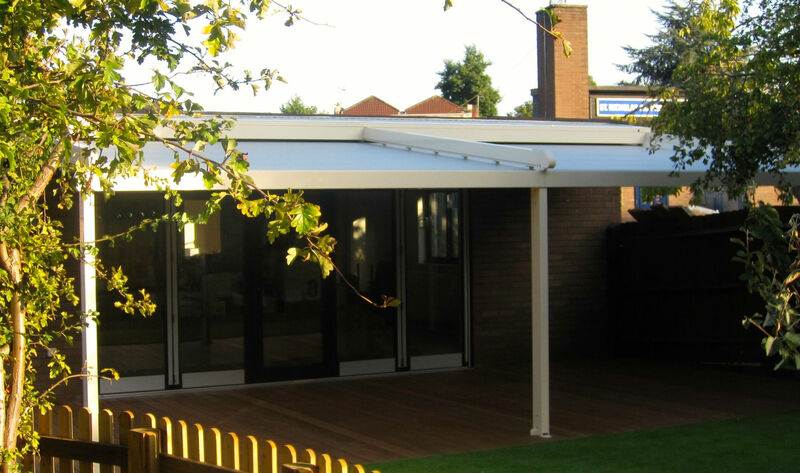 The Markilux range includes: retractable arm patio electric awnings, pergola framed awnings, under/over glass conservatory awnings, drop arm window awning, drop awnings and screens. 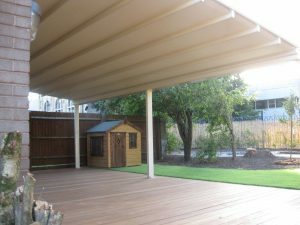 The Gibus range includes retractable framed tensile canopy “Mediterranea” and the Bioclimatic Louvred Pergola Gibus “Twist”. 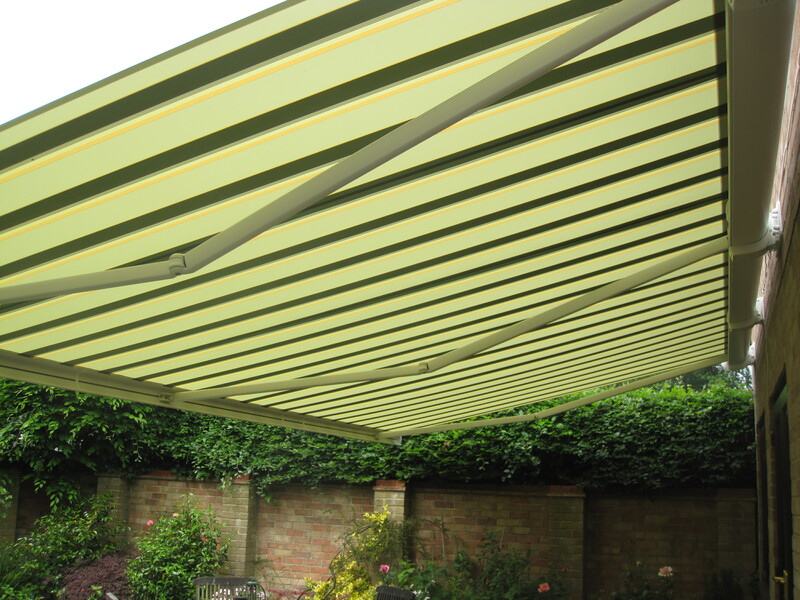 The Pergola awning from Gibus is a framed awning with posts. 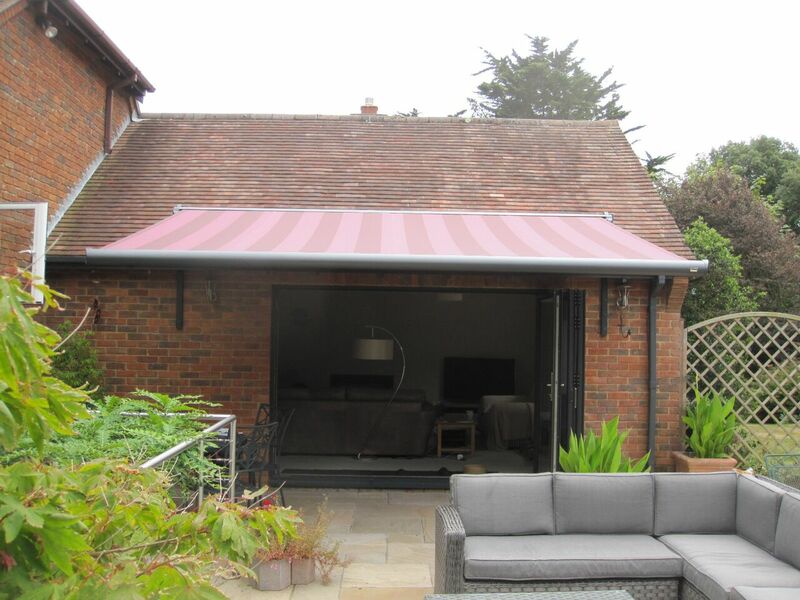 The retractable fabric roof consists of panels which fold together like a horizontal roman blind, stacking under a short aluminium rooflet when closed and then open out to form a drum tight rigid tensile roof able to withstand almost all weathers. Electric remote control operation. 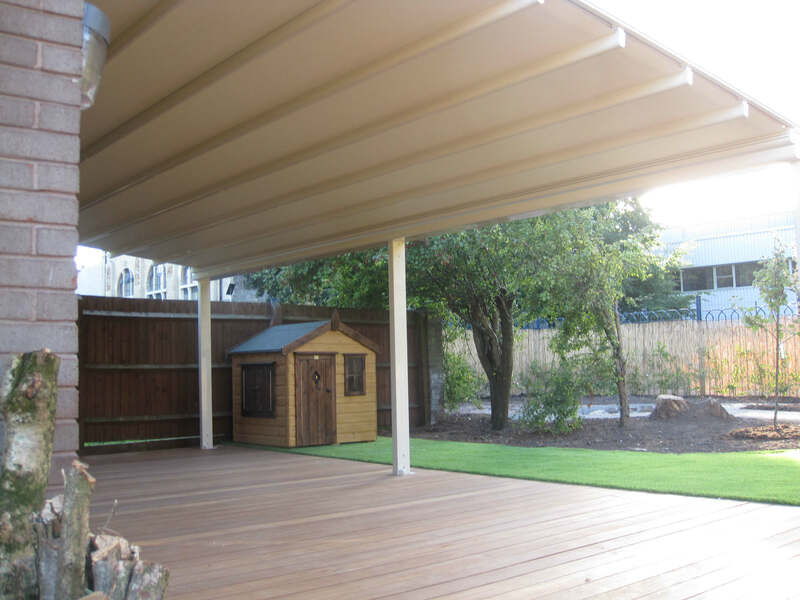 This pergola awning has 3 models Jeans, Viva & Quadra where the dimension of the aluminium members increase according to the span and projections of the installation. Great for extending modern houses – instal outside patio doors to create an almost permanent cover. 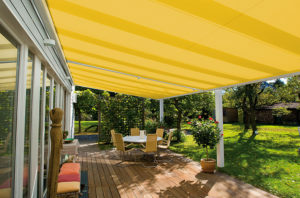 Each manufacturer offers a wide choice of traditional & high tech awning fabrics, LED & spot lighting, blue tooth connected sound systems, and a range of automation options for ease of use and peace of mind. 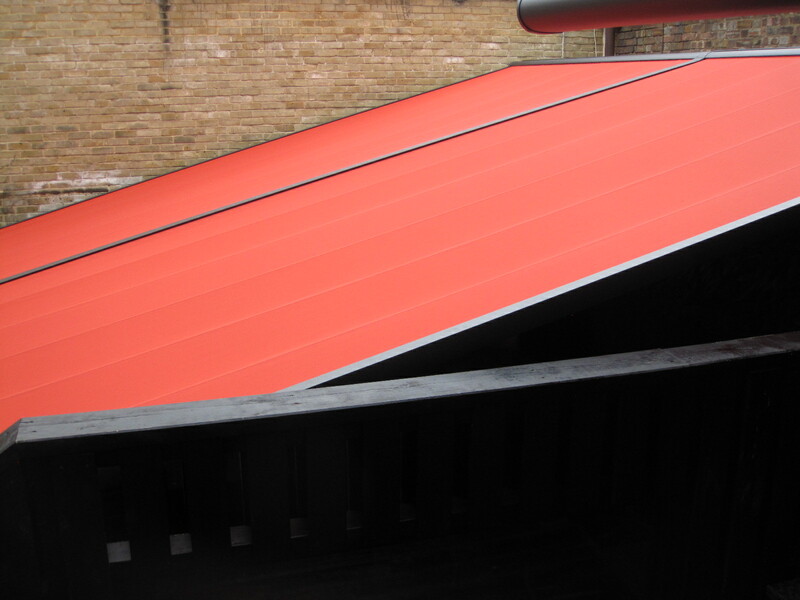 We supply & instal top quality Infra Red heating units by Tansun and Herschel Infrared. These are generally fitted under the awning. 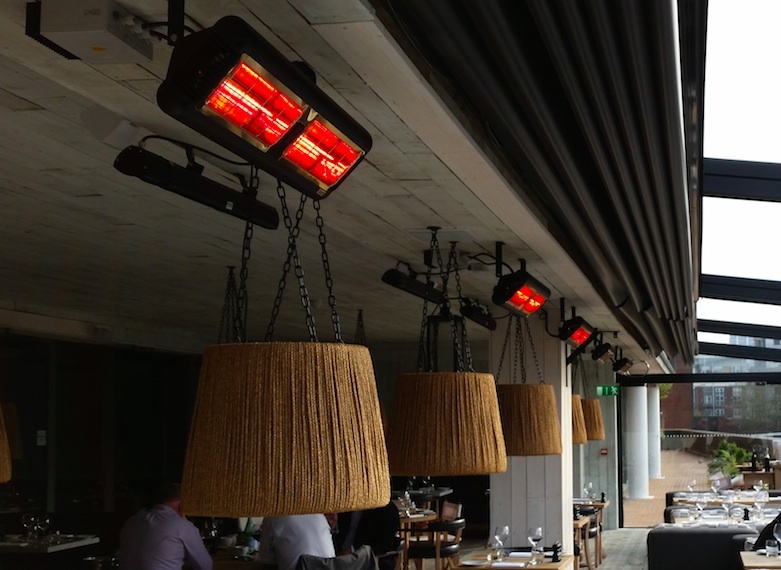 Infrared heaters heat objects rather than air, provide instant heat and maximise the enjoyment of the under awning space especially in the evenings and cooler days. 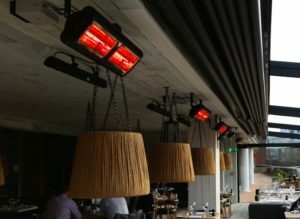 Visit our dedicated Infrared Heater site HeatMySpace here. Please note the LINKS below to our manufacturers websites which illustrate & describe in detail the ranges and models available. 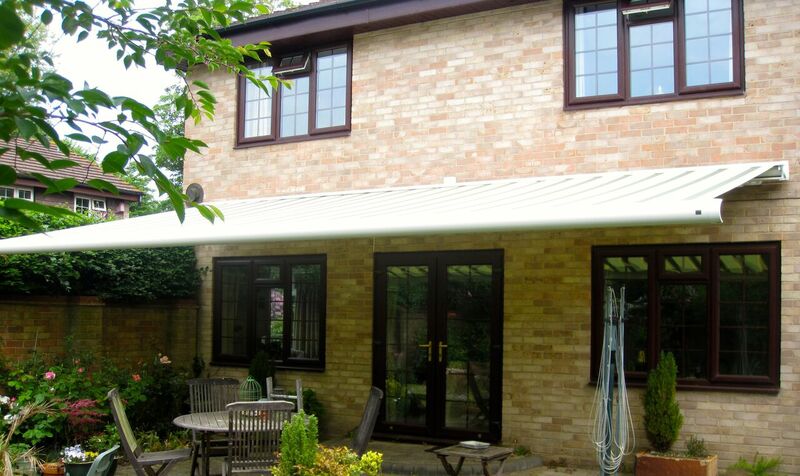 Contact our offices by email or phone to discuss your requirements. We are able to provide a free estimate for supply and installation of patio awnings based on dimensions provided backed up by a photo of the location of the awning. 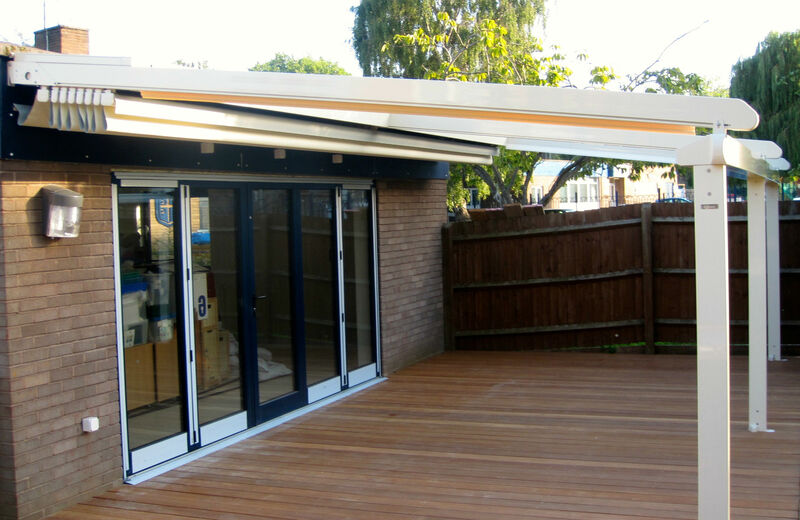 Subject to our estimate meeting with approval we will undertake a detailed site survey and issue a full quotation for supply & installation. 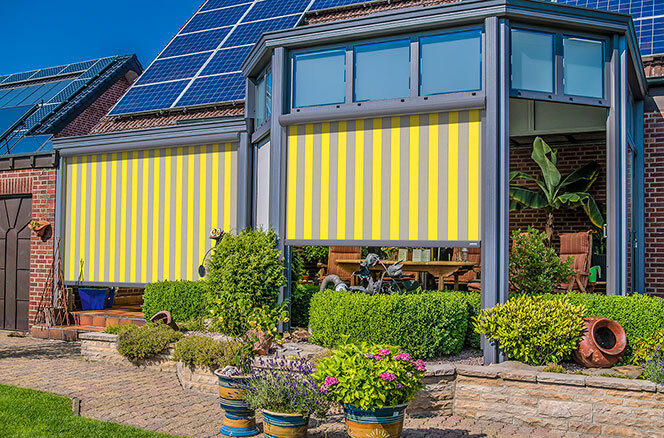 The site survey is subject to a survey fee to cover our expenses and this cost will be deducted from our final installation invoice in the event we are instructed to proceed.